December 2015 - La Cava & Jacobson, P.A. 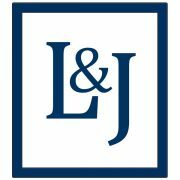 La Cava and Jacobson is pleased to announce they will be opening up another full service office in Ft. Lauderdale, Florida. The office will open on January 4, 2016. William Carcioppolo will be joining the firm as a partner and will be working out of the Ft. Lauderdale office. The office will be defending medical malpractice cases against physicians and hospitals as well as claims against nursing homes and assisted living facilities. In addition, the office will defend administrative claims brought by the Department of Health against physicians and the defense of general liability cases.